Why do people choose to play with ideas considered antiquated? Why do they elect to act in non-productive ways? Perhaps the question can be asked in reverse: What comes to mind when we think of technology? That which is practical, efficient, invisible, fast, optimistic, constantly updated. So how can one explain the search for the opposite, that which is useless, inefficient, physically present, slow, dystopian, obsolete and governed by chance? The matter of what motivates the search for `antiquated' forms strikes deep into the heart of value. Are people simply following trends? Are they idiots? Are they sentimental? Are they artists? Are they interested in kitsch? Are they uninformed? Are they poets? 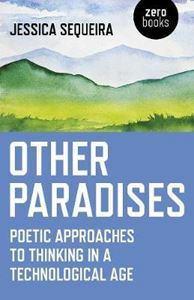 Other Paradises is a collection of essays exploring imaginative responses to science and technology, and is about people who choose to build `other paradises', fully conscious of the alternative they offer to the dominant paradigm of technological progress.